China’s debt has been undercalculated and the true extent of the country’s leverage “increases our concerns about China’s underlying credit problems and sustainability risk,” according to a note from Goldman Sachs analyst MK Tang and his team. Tang writes that about 6 trillion RMB (about $900 billion) more credit was issued to households last year than was captured in formal statistics for China’s financial institutions, according to a Goldman analysis of the “shadow banking” sector — the facilitation of a line of credit across the global financial system which is unregulated. That’s the equivalent of 9 percentage points of GDP. 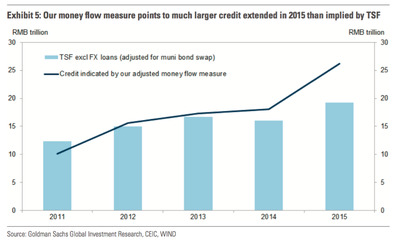 More worryingly, our implied credit metric indicates that the trend of China’s leverage has probably deteriorated faster than we previously thought, even though we had already expected the ratio to continue rising in the next few years (see here). Compared to our previous estimates, the experience in 2015 suggests that the economy’s dependence on credit has deepened significantly and that it likely needs sizeable flow of credit on a persistent basis to maintain a stable level of growth. 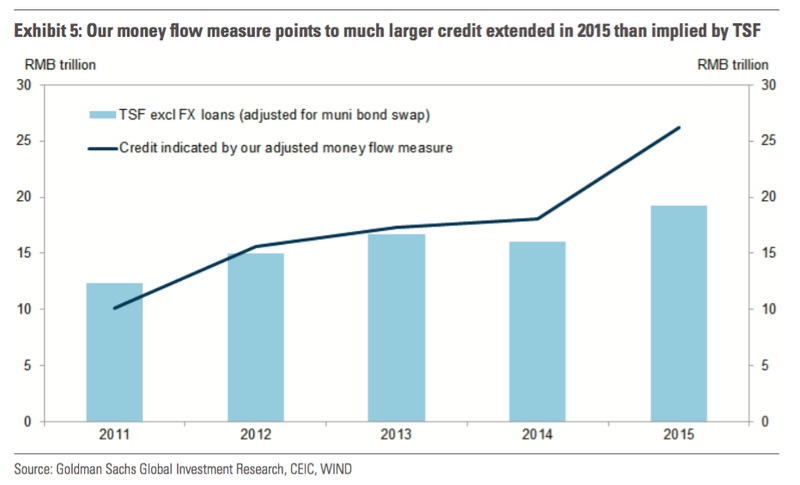 … Such a scale of deterioration certainly increases our concerns about China’s underlying credit problems and sustainability risk. 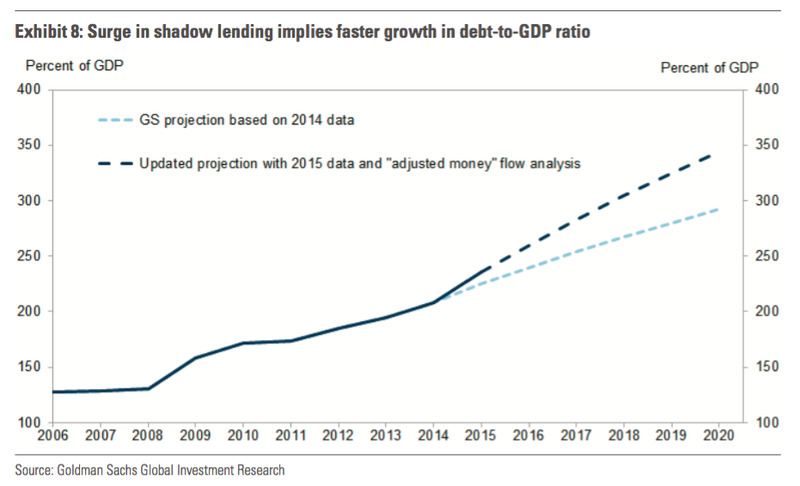 The possibility that there is such a large amount of shadow lending going on in the system that is not captured in official statistics also points to regulatory gap, and underscores the lack of visibility on where potential financial stress points may lie and how a possible contagion may play out. 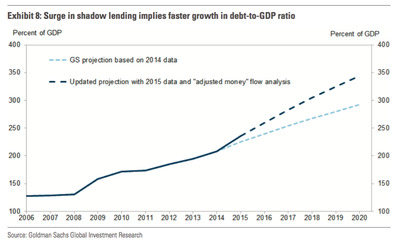 Goldman is not predicting some sort of looming systemic disaster. In fact the report makes no predictions at all.